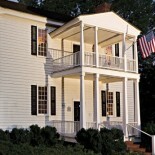 The two-story Greek-Revival house is the town’s oldest dwelling and features a hall-parlor plan with much of its original woodwork, a two-story porch, and exterior chimneys with freestanding stacks. The house is furnished to reflect the period of its various residents, including pieces originally belonging to the school’s first president, Samuel Wait. 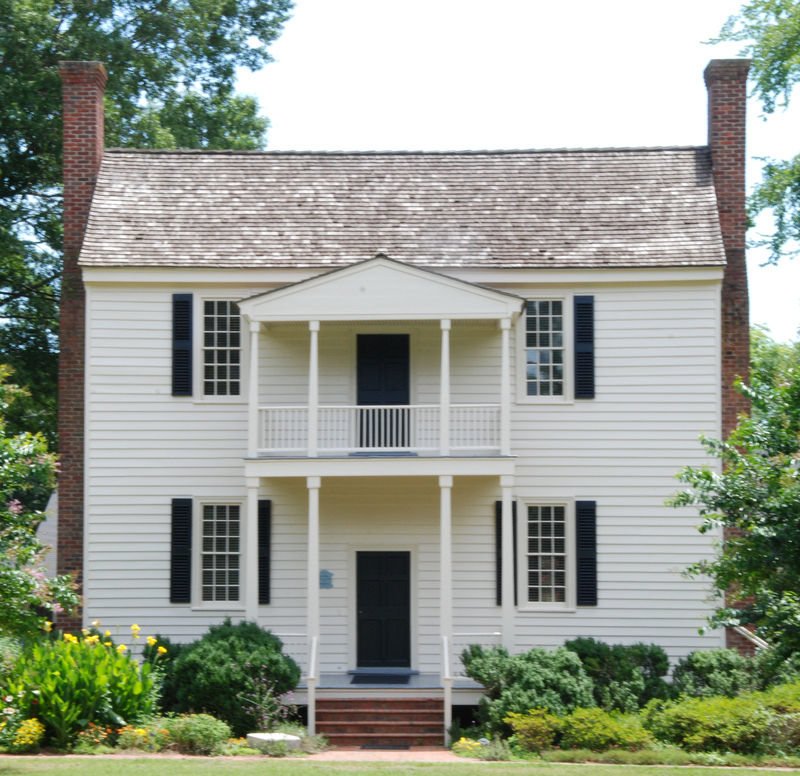 This entry was posted on August 11, 2013 by wakeforestmuseum in Calvin Jones House and tagged Calvin Jones House, Wake Forest College, Wake Forest College Birthplace Society, Wake Forest Historical Museum.